but to us you are something. Something more than that. Something great. You saw us as we first took that step on your grounds, nervously waiting because it is our first day while latching on to our mother’s side, filled with mixed emotions. You’ve seen us opening our new notebook, as we scribbled funny things on it. You even witnessed our first puppy love – that childhood crush. got our first big zero marked in red ink, crumpled it and get on with it hoping our parents won’t notice. You’ve seen us burst into tears. You’ve seen our other side. lied, and bullied someone, but you asked no questions. You’ve seen our struggles and our victories. You’ve seen us marched towards that platform, while receiving our medals, certificates, and diplomas. You were there looking at us happy and proud. Do you remember those times you used to tell us stories? Yes, there were tons of it! We would never forget all those crazy ghost stories you used to scare us. You really had a lot of stories to tell back then but on the 18th of January 2016, we heard a different story. An even more terrifying than a typical ghost story. A heartbreaking one to be exact. So different that you are not enthusiastic while telling us about it. A part of you died. Burned to ashes, leaving us with cinders. 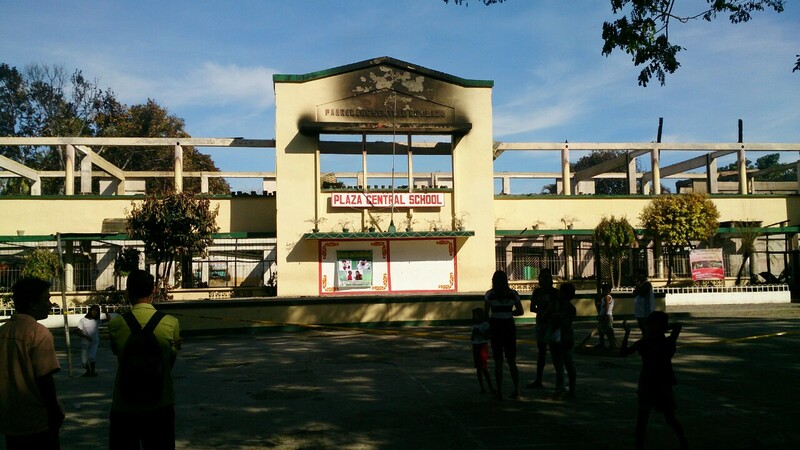 those corridors where we used to chat, goof around, and read our notes while waiting for our next class. Those were just few of all those great memories we shared. You were one of those stepping stones that helped us get to where we are today. With that, we’re forever thankful. Heal, dear alma mater, heal… for we shall see each other again. Rise, rise with all your glory. Like a phoenix, rise from your ashes! The pictures above show the aftermath. 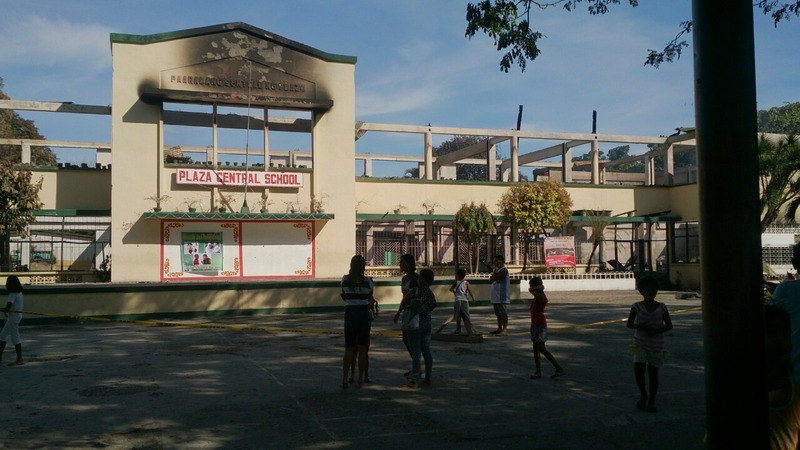 My facebook friend Audrey Harry initiated a GoFundMe Campaign to help rebuild the school. If you wish to donate, click here. Any amount will do. 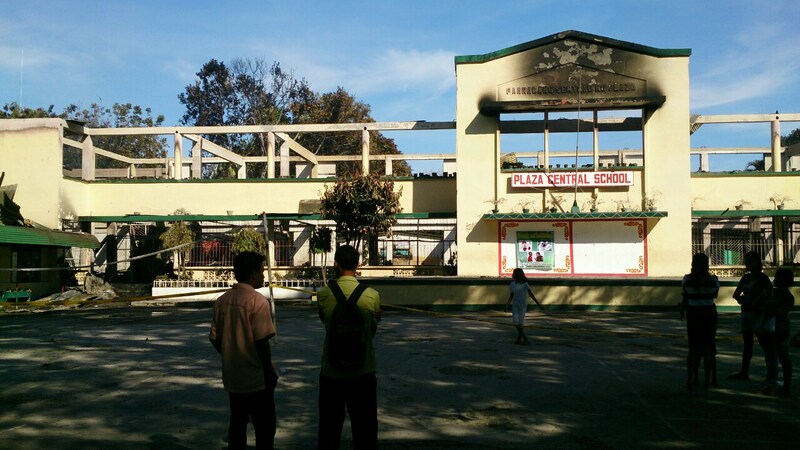 Help us rebuild Plaza Central School. Thank you so much.